You can view exclusive behind the scenes photos from the set of My Chemical Romance’s “Na Na Na” video, here. 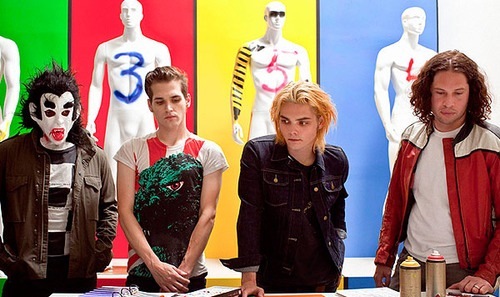 Danger Days hits shelves November 22, 2010. You can now watch the complete music video for “Na Na Na”, check it out after the jump! The new music video for ‘Na Na Na’ will be released October 14th. You can read and listen to the single after the jump.